Home invasion tales are a well-worn narrative in the horror movie genre – but every once in a while, a film comes along that gives that tired scenario a shot in the arm. 2008’s The Strangers was one such project, with its story of relationship discord playing out as background to a terrifying encounter with masked intruders. 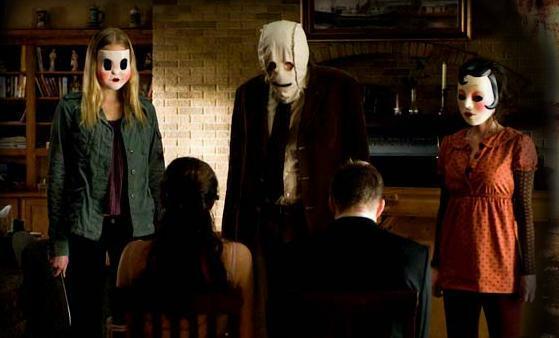 A sequel has been in the works for a number of years, but is finally picking up momentum – as The Strangers 2 – with director Johannes Roberts at the helm. The Strangers was notable for the way in which it specifically sought to leave the motivations of the attackers a mystery. Focusing on the perspective of the victims, the film was anchored by the idea that the target couple (played by Liv Tyler and Scott Speedman) would have no idea why they were being terrorized, and so the audience doesn’t either. Until now, The Strangers 2 has also been something of a mystery, although it does boast a screenplay co-written by Ben Ketai and Bryan Bertino – Bertino being the writer and director of the original film. Producer Trevor Macy recently revealed some details, though, in conversation with The Daily Dead. That detail is further confirmed by the movie’s synopsis. The next question on the minds of fans will be who will appear as members of this family – and the answer to that question should be revealed soon, as casting gets underway for a summer 2017 shoot. Clearly, writers Bertino and Ketai, and director Johannes Roberts intend to dial up the tension with the inclusion of a larger number of victims – a family, as opposed to a couple. Will this new group pose more of a challenge to the masked intruders in The Strangers 2? Only time will tell.